It's that time of the year again for both aspiring and established Filipino writers in the Philippines. The Carlos Palanca Foundation Inc. is now accepting submissions for this year's edition of the Carlos Palanca Memorial Awards for Literature. So if you have a manuscript lying around, it's about time that you pick it up, blow the dust away, and hone it to perfection. Deadline of submissions for this year's awards will be on April 30, 2017. That means you have less than two months to write and hone your manuscript. 3. Regional Languages Division – Short Story in Cebuano, Short Story in Hiligaynon, and Short Story in Ilokano. The Kabataan Division is for writers who are below eighteen (18) years old. The theme for the Kabataan Division is: "How can the youth contribute to building interest in Philippine culture and literature?/Paano makaaambag ang mga kabataan sa pagsulong ng interes sa kultura at panitikang Pilipino?" 1. In the SHORT STORY/MAIKLING KUWENTO (ENGLISH OR FILIPINO OR CEBUANO OR HILIGAYNON OR ILOKANO) categories, an entry must be at least ten (10) but not more than twenty-five (25) typewritten pages and must include a one-page synopsis. The theme is open and free. 2. In the SHORT STORY FOR CHILDREN / MAIKLING KUWENTONG PAMBATA categories, an entry must be not more than ten (10) typewritten pages and must include a one-page synopsis. It may deal with any subject, and be within the grade-school reading level of children ages 7-12. 5. In the ESSAY / SANAYSAY categories, an entry should be at least ten (10) but not more than twenty-five (25) typewritten pages. The category is open only to informal (personal) essays. 3. In the POETRY / TULA categories, an entry must consist of a collection of at least ten (10) but not more than fifteen (15) poems. 4. In the POETRY WRITTEN FOR CHILDREN / TULA PARA SA MGA BATA categories, an entry must consist of a collection of at least ten (10) but not more than fifteen (15) poems. It may deal with any subject and must be comprehensible within the grade-school reading level of children ages 7-12, and can be appreciated in its oral form by younger children. 5. In the ONE-ACT PLAY / DULANG MAY ISANG YUGTO categories, an entry must be of sufficient length to approximate a performance time of forty-five (45) minutes and must include a one-page synopsis. The theme is open and free. 6. In the FULL-LENGTH PLAY / DULANG GANAP ANG HABA categories, an entry must consist of two (2) or more acts and must include a one-page synopsis. 7. In the DULANG PAMPELIKULA category, the entry must be a script for a full-length film with a running time of approximately two (2) hours and must include a one-page synopsis. The theme is open and free. 8. In the NOVEL / NOBELA categories, there is no limit as to the number of pages of the entry but the entry must include a one-page synopsis. The theme is open and free. These categories are open every two (2) years. They are open for the current contest year 2017. 9. The KABATAAN ESSAY/ KABATAAN SANAYSAY are special youth categories open to persons below 18 years of age as of 30 April 2017. It is open only to informal (personal) essays. The theme for 2017 KABATAAN ESSAY is “How can the youth contribute to building interest in Philippine culture and literature?” and for the KABATAAN SANAYSAY “Paano makaaambag ang mga kabataan sa pagsulong ng interes sa kultura at panitikang Pilipino?”, An entry must be at least four (4) but not more than five (5) typewritten pages, and must carry an original title. 10. There are two special awards for contestants who have garnered multiple first prizes. The HALL OF FAME AWARD is bestowed on Palanca awardees who have won a first prize at least five (5) times in the regular categories. The five (5) first prizes may be from different divisions and/or categories for purposes of qualifying for the Hall of Fame Award. The KABATAAN AWARD OF DISTINCTION is awarded to Palanca awardees who have won four (4) first prizes in the KABATAAN ESSAY/KABATAAN SANAYSAY categories, regardless of division. First prize awards in the Kabataan Essay/Kabataan Sanaysay categories shall not be counted for purposes of the Hall of Fame Award. 11. a. Authors may submit only one (1) entry per category. b. An entry or excerpt thereof, may only be submitted in one (1) category and may not be entered in any other category. c. A translation of an entry submitted in one (1) division shall not be eligible in any other division. 12. A work which has been awarded a prize in another contest before 12:00m.n. of 30 April 2017 is not qualified for the awards. 13. Published/produced works which were first published or first produced between 1 May 2016 to 30 April 2017 and/or unpublished/unproduced works, may be entered in the contest. 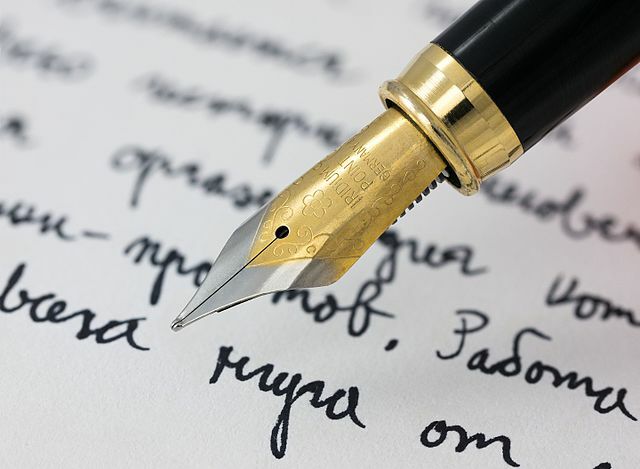 For contest years in which the NOVEL/NOBELA categories are open, published works which were first published within a period of two (2) years prior to 30 April of such contest year, and unpublished works may be entered in the contest. Only unproduced works may be entered in the DULANG PAMPELIKULA category. 14. ALL ENTRIES must be in a PDF File, double – spaced (not applicable on poetry/tula category), on 8 ½ X 11 inches bond paper. There should be a one inch margin on all sides. The page number should be typed consecutively at the center of the bottom margin of each page. The font should be Arial, Times New Roman, or Book Antiqua. The font size should be 12. A SYNOPSIS is also required except for the Poetry, Poetry Written for Children and Essay category, English and Filipino divisions. THE AUTHOR’S NAME AND/OR PEN NAME SHOULD NOT APPEAR ON THE ENTRY. The Official Entry Form and Grant/Assignment of Rights and the Consent (if applicable) should be notarized EXCEPT FOR ENTRIES FROM ABROAD. Entries from abroad need not be notarized but if an entry from abroad wins, then the Official Entry Form and Grant/Assignment of Rights and Consent for (adaptations) must be authenticated by the Philippine Embassy or Consulate and received by the CPMA Office on or before 25 August (Philippine time) of the contest year in order to receive an award. Please visit the official website of the Carlos Palanca Memorial Awards to learn more about the rules. Cash prizes await those who will win their respective categories. For instance, if you win the first prize for the short story contest, you will receive 18,000 pesos in cash. Grand prize winners for the novel and nobela categories will receive 50,000 pesos.